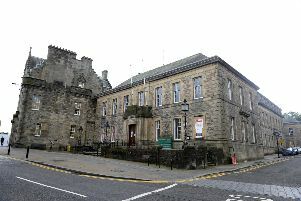 Could Linlithgow have 54 new homes? A housing developer has confirmed that it will submit a planning application for a major new development on the eastern edge of Linlithgow. Cala Homes has stated that it has now submitted revised plans to West Lothian Council in its bid to bring 54 new homes to Boghall East on Blackness Road. The developer had staged a consultation evening with the public at the Low Port Centre last August. This was attended by more than 70 people who wanted their say on the future of the site, which lies within WLC’s Local Development Plan. A quarter of the homes involved will be earmarked for social housing – in a move which has won the approval of Linlithgow and Linlithgow Bridge Community Council whose members argue that Linlithgow needs more of this type of housing. Now CALA has stated that the council is scrutinising the bid. And it insists has been formed in line with the wishes of those who came along. Craig Lynes, land director with CALA Homes (East), said: “We’d like to thank all the local people who have engaged with us in offering their comments. “We’re now in the process of reviewing those public and statutory consultation responses with the local authority . A spokesperson for WLC said: “The representations that were received during the notification period and the technical consultation responses on the development proposals are currently being assessed. “They will be taken into account in processing the application. This is the second time that CALA has submitted the plan which was originally rejected back in 2014. This was partly due to fears about infrastructure which had included the availability of places at Linlithgow Academy at that point in time.